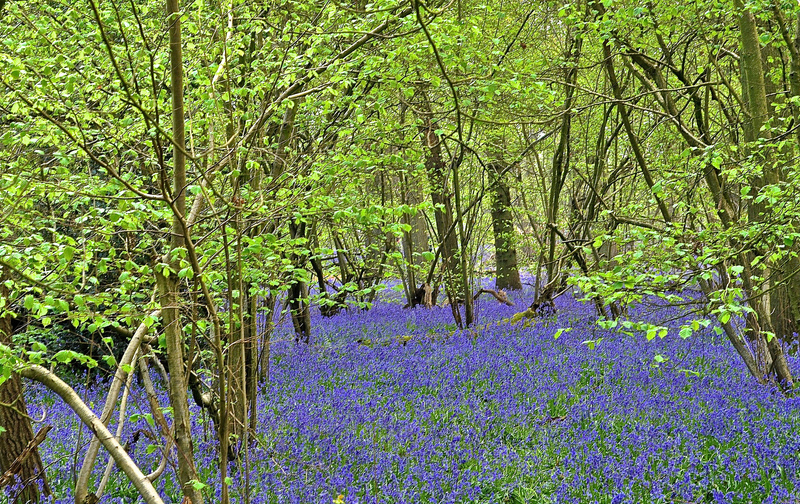 Nothing shouts Englishness as much as a bluebell does – a sentiment outlined in today’s Daily Telegraph. They are early, they are bright as a button and it is said that half of the world’s population of bluebells are based right here on our soil. So where can we spot them? 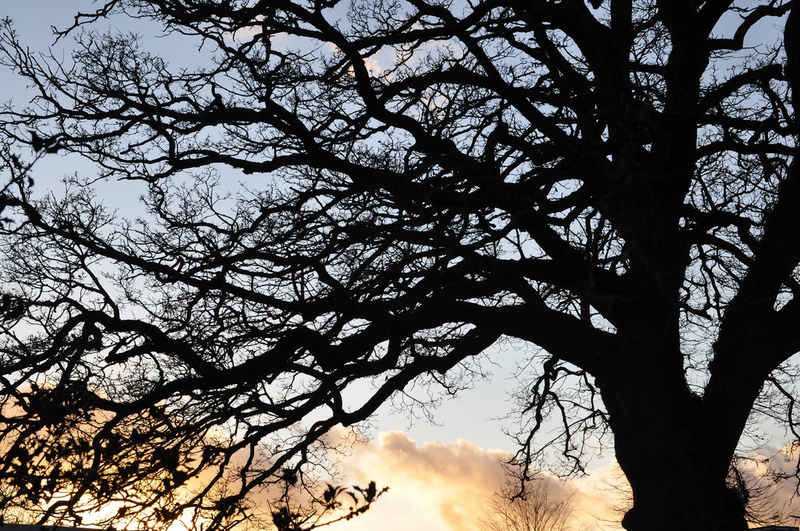 Probably in your nearest wood is the best place to start for they thrive in ancient deciduous woodland. These I found in tiny Park Wood in Waterlooville Hampshire. 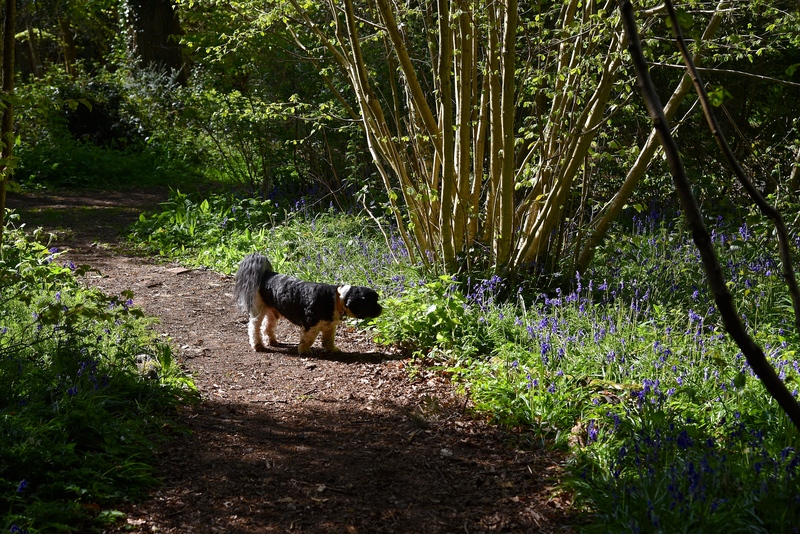 Perhaps the most beautiful woodland walk for bluebells around this area that I have so far discovered has to be on the Hatchlands Park estate in Surrey, run by the National Trust. If you visit, don’t forget to look around the house as it is simply magnificent. It also houses Europe’s largest collection of keyboard instruments, many associated with key composers such as Bach, Chopin and Elgar. 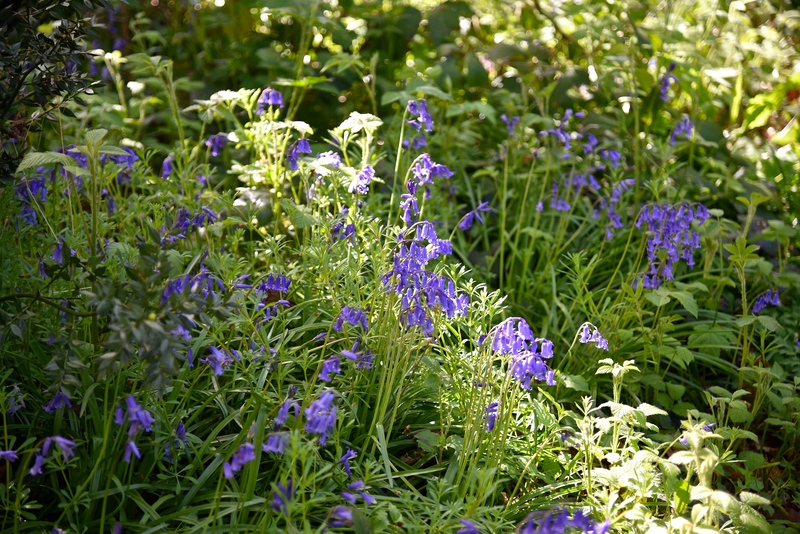 Anyway, back to nature and to paraphrase (with apologies) the leader article about this simple little blue flower in the Telegraph: Bluebell time is all the better for its limited season. This flower gives Britain its invaluable character. 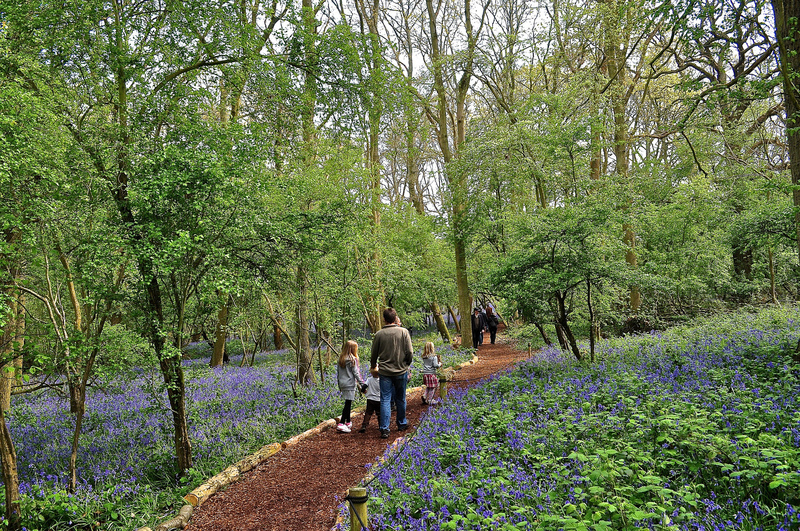 So, don’t delay or you might miss out on seeing these magnificent carpets of blue in our woodlands …. ← Picture alert! Spring is here! We saw the bluebells in Hatchlands a couple of weeks ago too! Totally surprised to see them out already, and they were gorgeous! I’ll pop by again when I am next there. They are really early this year, aren’t they?